Becoming familiar with your car will alert you to any problems that may arise. Don’t worry – you don’t need to be an expert in timing belts! But inspecting the underbody, tyres and panel, and testing the lights and windscreen wipers can help maintain peace of mind and road safety between scheduled servicing with your Goodyear Autocare car mechanic. Fluids are vital to keeping your car running smoothly. By checking your oil, transmission and coolant levels regularly you may detect a problem before it becomes a costly repair. Always do these checks when the car is cool to avoid injury. If you’re unsure, ask your Goodyear Autocare mechanic. Regular car maintenance at selected kilometre or monthly intervals, as specified by the car manufacturer, will help make sure your car is running efficiently and safely. How do you know if you have a blown head gasket? A blown gasket can lead to serious engine damage which can be costly to repair. Look out for high engine temperature, low engine power, low coolant levels or oil with a milky white colour. If you suspect you may have a blown head gasket, it's important to seek repair immediately with a car mechanic to prevent further damage to your car's engine. Our experts at Goodyear Autocare can replace your gasket for you – request a quote or find your nearest store. What should you do if the ‘Check engine’ light is on? 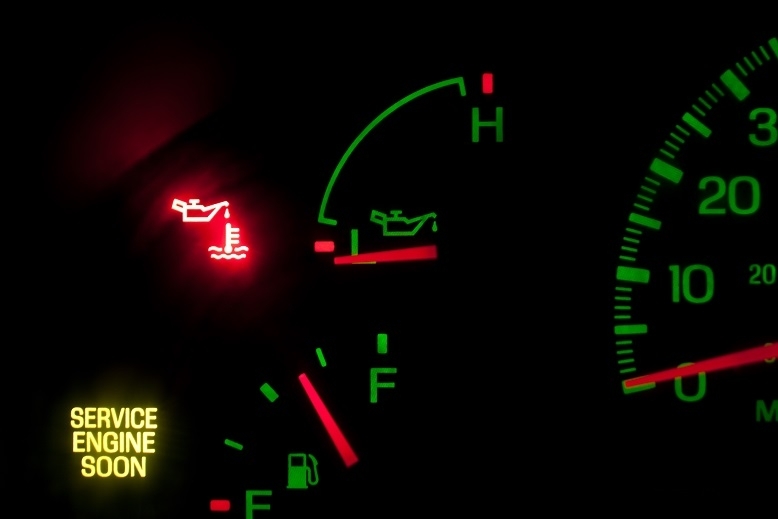 The ‘Check engine’ light is part of your on-board computerised diagnostics system, and switches on to indicate that something is malfunctioning in your car engine. It doesn't necessarily mean you need to pull over or that the issue is serious. But it's not a good idea to ignore the ‘Check engine’ light – a minor issue could lead to serious and costly repairs in the future. If your "Check Engine" light is on, drop by a Goodyear Autocare store near you and speak to one of our car mechanics and request a quote. What should you do if your radiator is leaking? You radiator is an important component of your car. It’s responsible for keeping your engine at an optimal temperature and if it’s not functioning properly, your engine may overheat. Radiator problems are common and arise when small particles of dirt and rust build up and clog the radiator elements, preventing it from being able to cool properly. If your car is consistently low on coolant, it’s likely you have a radiator leak. Radiator leaks result from corrosion of the elements, puncturing or a weak radiator cap. Various materials can collect inside the radiator and corrode the metal, causing a leak. A small radiator leak can be fixed temporarily, but the best thing to do is to take it to a Goodyear Autocare car mechanic near you for assessment. When should you replace a replace a timing belt? The timing belt is a rubber belt underneath the engine cover that keeps the engine synchronised and running properly. It’s connected to the crankshaft, camshafts and tensioner pulley, which are all part of an elaborate system that coordinates the rotations. It serves an important function in the running of your vehicle. Fortunately though, timing belt failure is easy to prevent. The timing belt should be replaced every 80,000 to 100,000kms. It will attain wear over time due to the engine environment but things like oil leaks, dry climate and infrequent driving can affect the wear of the timing belt. The timing belt replacement cost can be expensive, but failing to replace your timing belt when needed could result in your engine stalling, leaving you stranded on the road. The best thing to do is to request a quote and get a qualified car mechanic to look at your timing belt and replace it if necessary. When should you change your power steering fluid? Power steering fluid is a vital component of your car’s operation. It helps to make steering easier by pressurising it. If you notice that you use more force while steering, you may need to have a power steering flush. This involves draining the current fluid and replacing it with new power steering fluid. Visit your local Goodyear Autocare store to have your power steering fluid changed. When should you replace your windscreen wiper blades? Over time, your windscreen wipers will wear and require replacement. Even if you live in a dry climate, your wipers can become damaged due to lack of moisture. Using them often and on a dry windshield can also lessen the life of your windscreen wipers. If they are squeaking or streaking as they wipe, it’s definitely time to replace them! Windscreen wiper blades should be changed every 6 to 12 months, though it depends on weather conditions and what material the blades are made from. Ordinary rubber blades won't last as long as halogen-hardened rubber blades. Silicone blades have the longest lifespan – some lasting for up to a year. Call us on 13 23 43 or find a Goodyear Autocare store near you and we can fit your windscreen wipers for you.